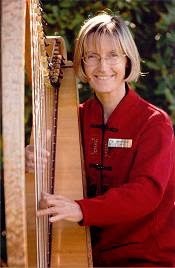 Alison periodically sends out her Harp Notes Newsletter with current news about her public gigs, harps for sale, CDs, sheet music, websites and significant events locally and in Canada. Included in the newsletter are free printable sheet music downloads for both harp and hammered dulcimer. You need to subscribe yourself through the form provided - Alison cannot subscribe for you. Your information is confidential and will not be shared with any other party. A name and email address is all that is required.